Around 110 people were killed in central Mali on March 23 when militants wearing traditional hunters' clothes staged an attack in the area which is inhabited by Donzo people. The Russian news channel, Russia Today, quoted a local official as expecting the toll from the attack to rise in the coming hours. The attack was most likely carried out by the militant Jama'a Nusrat ul-Islam wa al-Muslimin' group. This was the latest in a series of attacks in Mali in the past few months. On March 23, the same group staged an attack on a Malian army base, leaving 30 soldiers dead, according to a statement by the group. On March 17, al-Qaeda affiliated terrorists attacked another military base in Mopti town, killing 16 troops and army equipment. 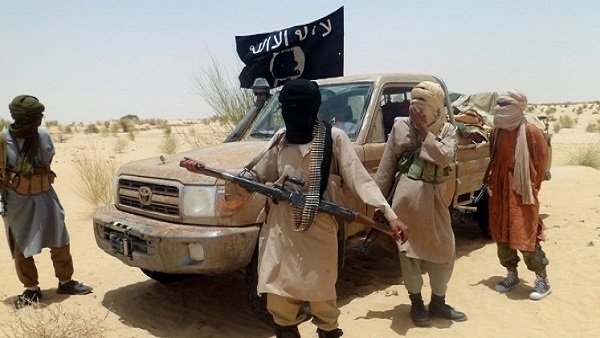 In October 2018, Jama'a Nusrat ul-Islam wa al-Muslimin' launched an attack on United Nations troops in the northern Malian city of Timbuktu, leaving two troops dead and 11 others injured. In December, 15 civilians were killed in another attack in the same city. Three attacks have been staged in Mali so far this month. The attacks come hard on the heels of the designation of Jama'a Nusrat ul-Islam wa al-Muslimin' as a "terrorist" organization by the United States Department of State. The September 2018 designation was seen as a strong blow to the terrorist group. Jama'a Nusrat ul-Islam wa al-Muslimin' is the result of a merger between three terrorist groups. The three groups were all affiliated to al-Qaeda. This terrorist organization is active in other countries, especially Burkina Faso. In March last year, Jama'a Nusrat ul-Islam wa al-Muslimin' carried out an attack on the US embassy in capital Ouagadougou. The attack came in response to the participation of French troops in the ongoing war against the terrorist organization in Mali. The group wants to control large swaths of the Sahel and Sahara region. Jama'a Nusrat ul-Islam wa al-Muslimin' receives financial and logistical support from Qatar. In January 2013, Qatar sent bags full of money to the organization in northern Mali, according to newspaper reports. Qatar charity also delivered food aid to the same area, a well-known Qatari mechanism used to disguise support to terrorist organizations.